2017 Rookie of the Year, Max Fewtrell (R-ace GP) claimed the pole position at the conclusion of the first qualifying session of the Formula Renault Eurocup season. 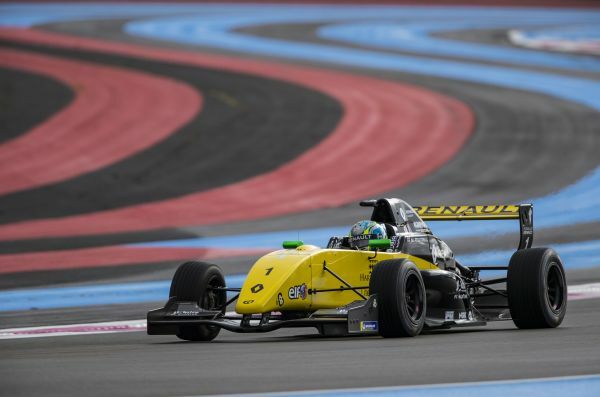 At Circuit Paul Ricard, the Renault Sport Academy driver set a best time of 2:02.531s that will see him start Sunday ahead of Yifei Ye (Josef Kaufmann Racing) and fellow member of the Renault Sport Academy, rookie Victor Martins (R-ace GP). On a damp track surface this morning, Max Fewtrell and Logan Sargeant (R-ace GP) led early on before Christian Lundgaard (MP Motorsport) took over with a time of 2:13.391s. Meanwhile, his rivals tried, unsuccessfully, to run on slick tyres. The Danish member of the Renault Sport Academy stayed on top ahead of Max Fewtrell and Logan Sargeant. Collective tests 1Due to a technical problem affecting the circuit’s fuel station, the second session was delayed and shortened. On his second flying lap, Logan Sargeant moved to the sharp end of the order with a lap of 2:15.350s and remained there as the conditions worsened. At the conclusion of the session, the American led from Max Fewtrell and Oscar Piastri (Arden Motorsport). Tech 1 Racing looking to 2018! 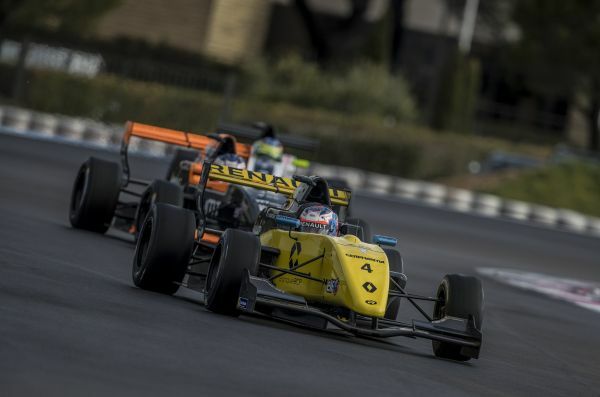 Formula Renault Eurocup Champ Sacha Fenestraz ready for Macau Grand Prix Debut!